Ferrari is Back, Ferrari is back! Fantastico, Fantastico! 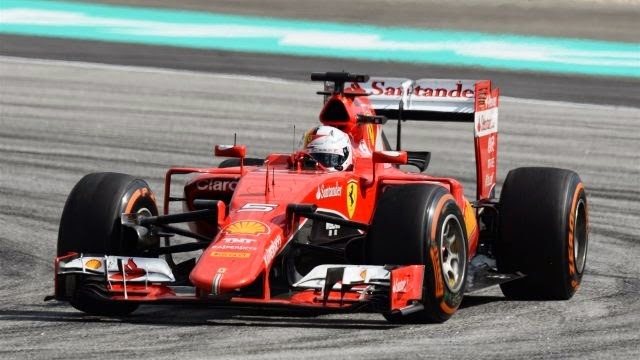 SEPANG, MALAYSIA – The excitement was evident on the Ferrari radios following Sebastien Vettel’s win for Ferrari at the Petronas Malaysia Grand Prix. 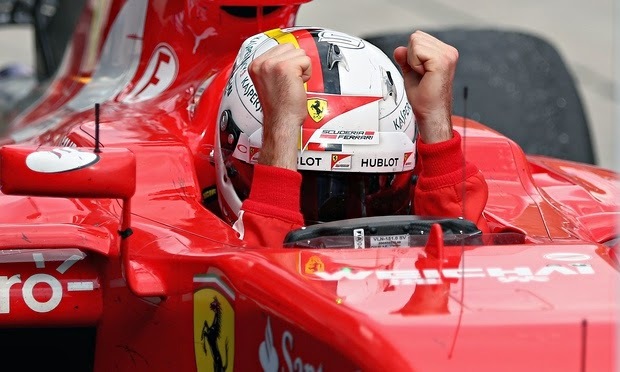 “Yes, yes, great drive”, shouted Ferrari boss Maurizio Arrivabene, “… Numero Uno is back… Ferrari is back, Ferrari is back, fantastico, fantastico.” And the jubilant German responded with a “Woooooohoooooooooo… grazie, grazie!” It had been a long two years without a win for Ferrari. It had also been a long spell for Vettel, not having won a race since Brazil in 2013. It appears that Mercedes will have a formidable opponent in the new Ferrari with Vettel in the number one seat. 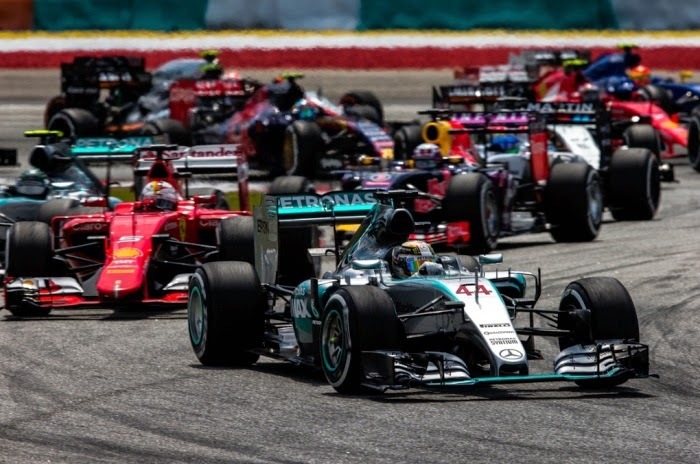 What is most surprising is that Vettel was the clear victor finishing over 8.5 sec ahead of the two fast running Silver Arrows of Hamilton and Rosberg. “We won the race fair and square” exclaimed Vettel while interviewed on the podium. Hamilton had led from the pole and looked to be very fast as expected. The critical call came early in the race when the Sauber of Marcus Ericsson spun on the fourth lap, bringing out a caution. The Mercedes drivers pitted to switch from the medium compound tires they started on for some hard rubber to go the distance. Ferrari kept Vettel out of the pits, betting on the fact the 2015 Ferrari was easier of tires and could finish with only two stops, against the Mercedes three. The bet paid off. 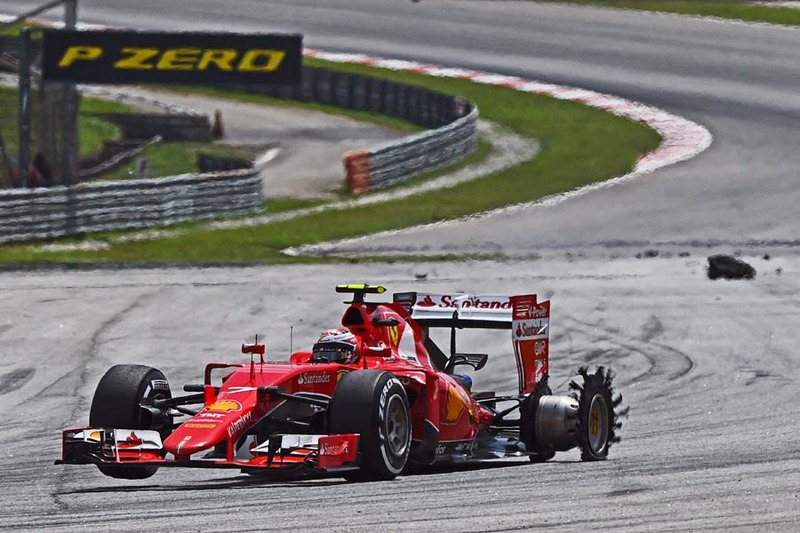 The second Ferrari of Kimi Raikkonen did not fair as well following a first lap tangle with Felipe Nasr shredding the rubber of the Maranello stead and forcing Kimi to 15th place. But the strength of the red cars was evident as he was able to recover with a fourth place win. Vettel’s former Red Bull team suffered a poor showing, being lapped by the first place Ferrari. 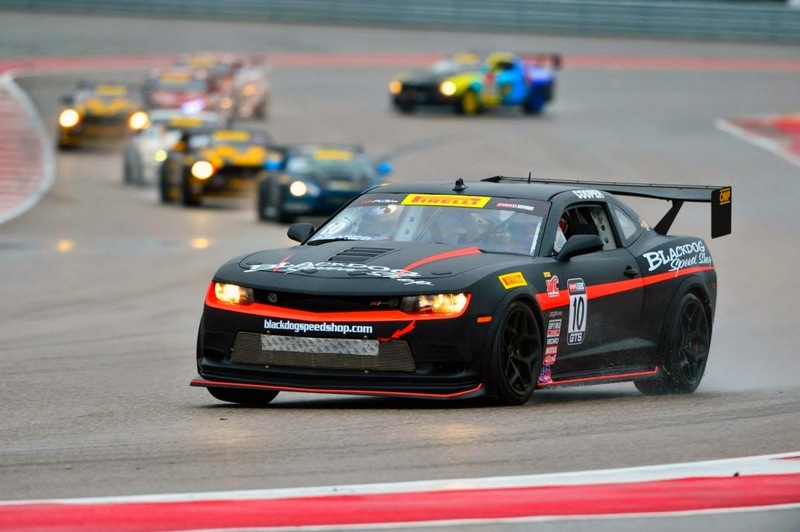 AUSTIN, TX – Blackdog Speed Shop driver Michael Cooper finished the weekend with a race win in the rain Sunday and Top-10 finish Saturday at Circuit of The Americas. 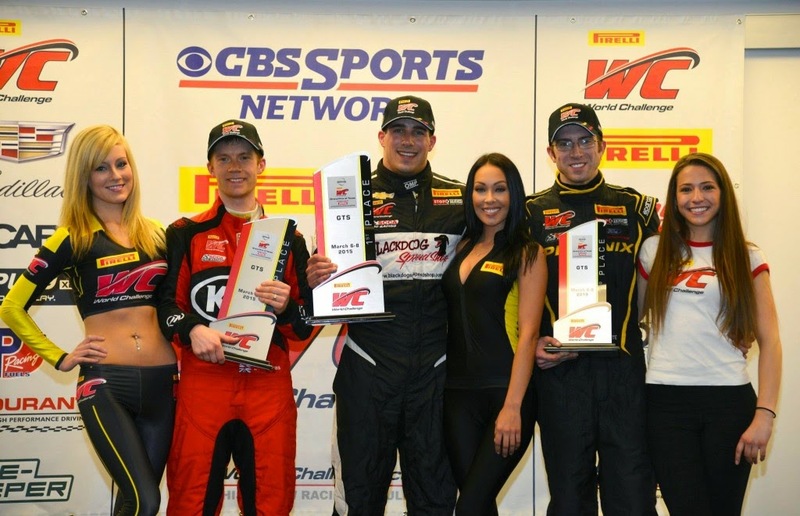 This marks Cooper’s first career GTS class win in the Pirelli World Challenge series. Z/28.R, after starting in the P12 position. Teammate and boss Tony Gaples moved up from P14 to finish 50 seconds behind Cooper and score his first Top-10 of the season. Cooper began the second race of the weekend on Sunday from the P9 position before executing a series of precision passes in the rain moving him up to P2 on the first lap of the race. This earning him both the Best Start and Hard Charger awards. 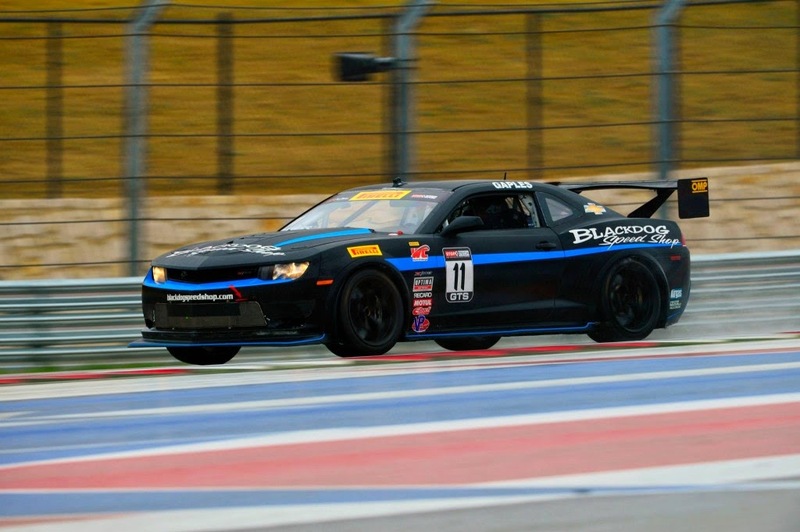 CoopeAUSTIN, TX – Blackdog Speed Shop driver Michael Cooper finished the weekend with a race win in the rain Sunday and Top-10 finish Saturday at Circuit of The Americas. 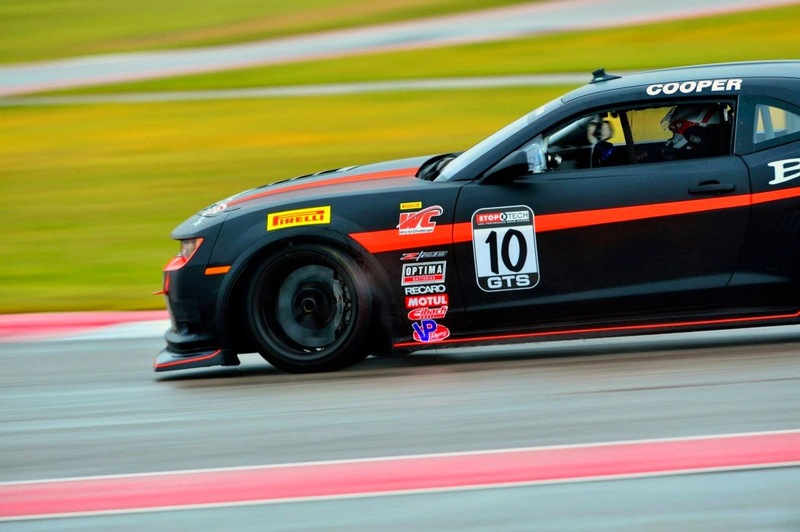 This marks Cooper’s first career GTS class win in the Pirelli World Challenge series. Z/28.R, after starting in the P12 position. Teammate Tony Gaples moved up from P14 to finish 50 seconds behind Cooper and score his first Top-10 of the season. Cooper began the second race of the weekend on Sunday from the P9 position before executing a series of precision passes in the rain moving him up to P2 on the first lap of the race. This earning him both the Best Start and Hard Charger awards. Cooper slotted in to P1 on the second lap of the race and held that position all the way to the checkered flag. “Rain is the great equalizer,” said Gaples who started Sunday’s race P16. Gaples got up as high as P10 to finish the race P13 after contact from another driver. Watch rounds 1 and 2 of Pirelli World Challenge GTS racing on CBS Sports Network Saturday March 14 at 10 AM central time. Racing continues in St. Petersburg, FL March 28th and 29th!r slotted in to P1 on the second lap of the race and held that position all the way to the checkered flag.